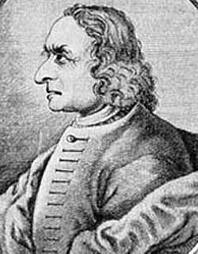 Giuseppe Tartini was born April 8, 1692 in Pirano, Istria in the Venetian Republic (now Piran, Slovenia), the fourth child of Giovanni Antonio Tartini, originally from Florence and a successful trader, and his wife Catarina Zangrandi, who was descended from Pirano nobility. Giuseppe was schooled under clerics at Pirano and Capo d’Istria, including some violin instruction. He was intended by his father for a monastic career, as might have been expected if several of the previous children were sons. He resisted the clerical profession, however, and during his career wrote relatively few religious compositions of any kind (Miserere, at the request of Pope Clement XII, and some vocal pieces). Renouncing that path, he matriculated at the University of Padua to study law in 1709. At the university, his interests gravitated towards music as well as fencing, and he took violin lessons from Giulio di Terni—who years later took some lessons from him. A secret marriage to Elizabetta Premazore, the niece of the Bishop of Padua, in 1710 when he was 18 necessitated his flight from the city some three years later when the marriage was discovered. He eventually found refuge at Assisi where there was a friar at the monastery with some family connections to him. In Assisi, he began to study the violin with Father Boemo—who was most likely the Czech musician Bohuslav Cernohorsky—and played in the convent orchestra. Cernohorsky was later an organist at St. Anthony’s in Padua and Tartini’s colleague. After about two years in Assisi, Tartini was recognized by some visitors from Padua while performing (a curtain blew aside during a performance and revealed him, went the tale). His seriousness and musical ability led to the successful outcome of reconciliation with the Bishop, and he and his wife moved to Venice in approximately 1715 or 1716. In Venice was Francesco Veracini, who was possibly the reason why Tartini chose to move there. A famed violinist and the head of the Venetian Academy of Music, founded by the King of Poland, Veracini’s playing affected Tartini greatly. In Venice Tartini, Veracini and Alexandro Mariello devoted much time to the study of the principles of violin playing, especially to the styles and kinds of bowing. However, Veracini was said to have had certain mental difficulties, and when his mind eventually gave way (Phipson), Tartini went to Ancona and studied violin intensively, also playing in the orchestra there. It was also said that he departed from Venice after being impressed by Veracini’s playing,. He withdrew for several years of solitary study, emerging with a longer bow, thicker strings, and a new control of cantabile playing (Carter). The fundamental principles of the bow and of bowing were, in any case, an important subject of his studies. About one-hundred and sixty years later, in 1877, Phipson wrote that the principles Tartini discovered and elucidated served as the basis of every violin school in the world. In 1721, at the age of 29, Tartini was appointed director of the orchestra in the Basilica of St. Anthony at Padua. His reputation was such that he received very favorable terms, including the freedom to accept outside engagements. He spent his remaining forty-nine years in that position. One of his few absences was a stay in Prague beginning in 1723, where he performed at the coronation of the Emperor Charles VIand served as the conductor of Count Kinsky’s private orchestra. He was back in Padua in 1726 as two letters to his family attest, in which he mentions his dislike of the northern climate. There was also an Italian tour ca. 1740, when he sustained an arm injury. After that his concertizing declined. He was well known and had offers to perform in the great European cities, but chose to remain in Italy. In 1728 he founded his violin school at Padua, “Scuola di Nazioni,” whose fame became acknowledged across Europe. He established a systematic method of study which was popular and attracted students to Padua. Many of his students became well known violinists, such as Pugnani and Nardini. He must have given careful attention to each student: in 1737 he accepted only nine students, although just four or five made him feel “like the most worried man on earth.” Tartini’s students took with them their teacher’s ideal of violin-playing: clarity of execution and intonation, beauty of sound, subtlety of expressive nuance—and to some extent his compositional idiom (Petrobelli, quoted in McVeigh and Hirschberg). Leopold Mozart borrowed Tartini’s precepts on violin playing freely for his Violinschule of 1756. Tartini was scientific and accumulated a large, learned library, primarily of music, philosophy, religion and mathematics. He made serious studies of the principles of acoustics, which remained a lifelong interest of his. He said that it was in Ancona that he discovered the principles of the “third sound” or overtone produced when two notes of a chord are played in perfect tune. Another example of his research is that the diameters of violin strings in Stradivari’s day can be deduced from experiments made by Tartini in 1734. His figure of 63 pounds of total string tension has not been disputed (Pollens), and it allows the diameters of the four strings to be calculated. Tartini’s playing was said to be remarkable for its combination of technical and poetic qualities. 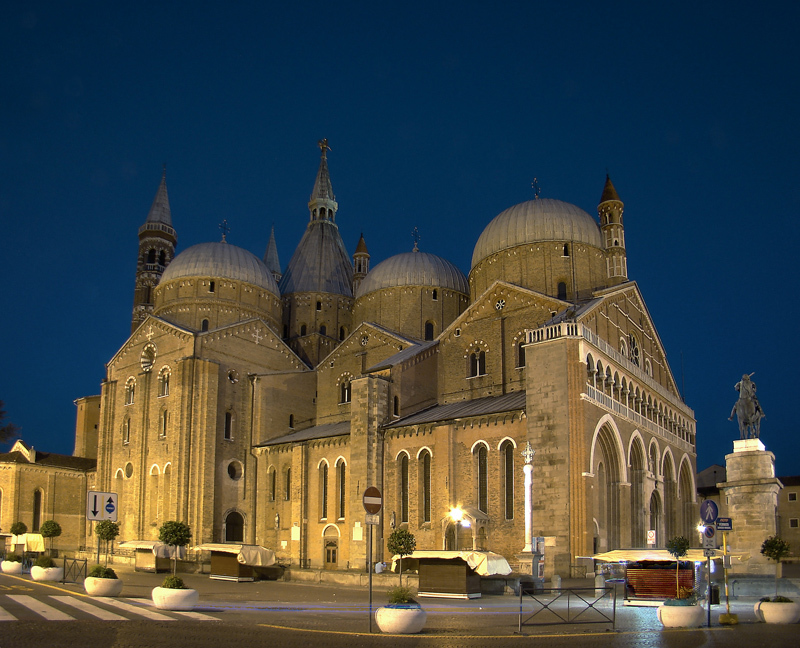 He was regarded with universal pride by the inhabitants of Padua. He was serious, contemplative, of a scientific turn of mind, and was esteemed as a philosopher and a great musician. He was proclaimed by the Italians “il Maestro delle Nazioni,” the finest musician in the world, while the French termed him “le legislateur de l’archet,” the lawgiver of the bow. He himself said that he studied little until after the age of 30, a statement that indicates his modesty and seriousness, considering his achievements by that age. Perhaps it referred to his scientific studies, as he was already well established on the violin. His method of playing an adagio was said to be inimitable and one of his favorite pupils, Pietro Nardini, became the finest adagio player in Italy, if not all Europe (Phipson). They became friends, and in 1769 Nardini returned to Padua and stayed with him in his final illness, Tartini’s wife Elizabetta having died the previous year. Antonio Vandini, a cellist, his colleague and friend in Padua, must have been with him as well and was most likely the original compiler of information about Tartini’s early life. 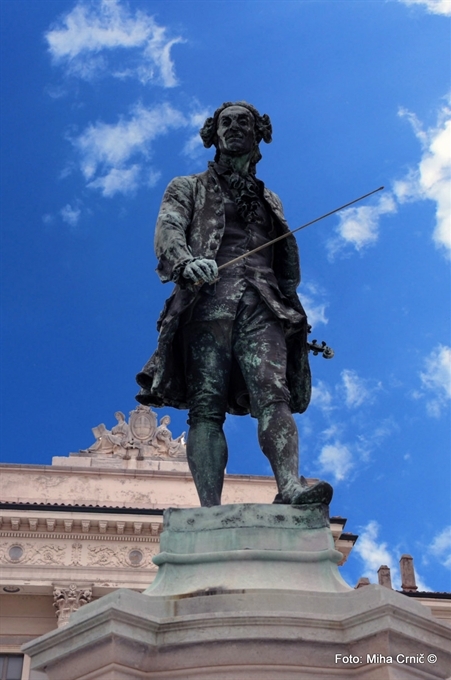 Tartini died in Padua after almost fifty years there, on Feb. 26, 1770. He had published experiments in acoustics, instructional material, and many music compositions. Much more of his music was still in manuscript. His noted bowing study, L’Arte del Arco,was published in Naples during his lifetime, and his long letter on techniques of playing to Signora Maddelena Lombardini, who was considered an excellent violinist, is well known. In Gaetano Pugnani, who studied first under Giovanni Somis, Tartini had the greatest of his pupils. Pugnani, who taught Viotti, united in himself the schools of Corelli and Tartini. Thus could Tartini be referred to as the godfather of modern violin playing. Tartini stood along with Vivaldi and Veracini as one of the great composers, violinists and theorists of the 18th century. He produced at least 200 each of sonatas and concertos; the exact figure is not yet known. His work presents good examples of changes that occurred after Corelli. The movements were reduced from four or five to three in the solo sonatas, usually S-F-F. There was a greater range in pitch, speed, variety of figuration, double- and triple-stops, and bowings, and a newly intimate, sensitive expression. One sign is the increased preference for more emotional tempo markings such as Andante affettuoso, instead of Largo or Grave. The intimate style is most often seen in the freer, and perhaps later, solo sonatas, where all else is subordinated to melody. The emphasis on “refined, poignant, ornamental” melody helps explain why Tartini would write such precise instructions on bowing, shifting and ornamentation as in his letter to Signora Lombardini (Newman). Compared to the showy Italian virtuosos who deluged northern Europe in the early 1700s, Tartini’s work shows an intense pictorial inward gaze, and a virtuosity that rises out of a desire to express rather than amaze (Carter). “He doesn’t play, he sings on the violin” was a contemporary view (Brainard). The romantic lyricism in his music was occasionally combined with Slavic folk elements which may reflect his stay in Prague. The Sonata in G minor, The Devil’s Sonata as Tartini called it, or “Devil’s Trill,” is just such a solo sonata. There are three movements instead of four or five, and the third goes through a series of slow-fast changes, as if in reminiscence of the older form with a fourth or even fifth movement. The melodies are hauntingly poignant and intensely expressive. The first is marked Larghetto affettuoso—illustrating Tartini’s support for a more emotional expression in music. The sonata is also programmatic to some extent. At the point in the third movement where the actual Devil’s trill begins, an annotation in the earliest printing says “the Devil at the foot of the bed.” It is an intriguing note, as it immediately creates a vision of Tartini alternately importuning the Devil for the secret, and the Devil answering with a fiery display. It is not known for certain that Tartini wrote the annotation on his original manuscript, but we know that he annotated many of his works with secular poetry—the waking dreams of poets. Those he wrote in code. The story behind it begins with an interview that Tartini gave to the French astronomer Jerome Lalande a few years before his death, in the same year that he retired from St. Anthony’s. Lalande published the story in his Voyage d’un Français en Italie (1769). The date of the sonata is uncertain; Lalande wrote that the dream occurred in 1713, but music historians have found it difficult to place the sonata earlier than about 1745 on stylistic grounds. What we do know is that it was not published until almost thirty years after Tartini’s death, in 1798. The manuscript was said to have come from Pierre Baillot, who had studied violin in Rome for a number of years, returning to Paris in 1791. The annotation about the Devil at the foot of the bed was apparently not written in Tartini’s code, at least not in the published edition. Thus we have both a sonata that was suppressed and a story that Tartini did not chose to reveal until a few years before his death in 1770. And even then he did it discretely. The present writer suggests that such a private person as Tartini would hardly have thought of casually publishing his dreams. His employers at St. Anthony’s would surely have disapproved of him conversing with the Devil, even in a dream. The story would have been likely to cause such ridicule or religious scandal that his reputation and livelihood would have been damaged. Tartini was a person who guarded his thoughts, to the extent of encoding some of the annotations of his music. The code was deciphered only in 1935; the annotations were shown to be mottos and fragments of secular poetry by Metastasio, Petrarch and Tasso, which might have been contrary to church strictures. So the interesting questions then become why did he tell it to Lalande, and why then? His natural penchant for privacy dovetailing with the necessity for discretion would have caused Tartini to keep silent until, meeting the astronomer Lalande, he recognized both his own advancing years, and an appropriate confidant for a story he did not wish to be lost. It is noteworthy that he chose a scientist in whom to confide. He had for years followed his natural interests by carrying on correspondence with scientists, including at least one astronomer, and would have heard of Lalande, who had most likely arrived in Italy with a letter of introduction to Tartini from a scientist or astronomer. In Lalande, Tartini must have recognized someone who would respond to the dream in a matter-of-fact way and not express scorn, shock or indignation. Lalande had another great advantage as well: he would publish in a foreign country and language, adding a significant layer of protection against the widespread dispersal of the story in Italy in the near future. Tartini had retired from his position at St. Anthony’s in 1765, which was most likely the year of Lalande’s visit. Tartini’s wife Elisabetta was seriously ill, and he had been commenting on his own declining powers for years. He chose Lalande to preserve both his story and his privacy. 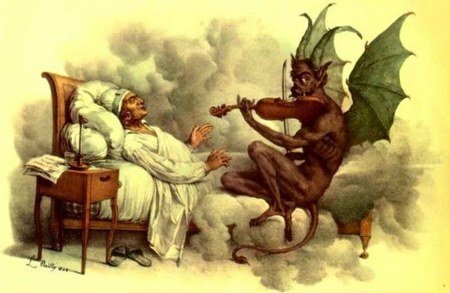 Phipson makes the intriguing suggestion that the Devil in the dream might have been a reminiscence of Veracini as Tartini knew him in Venice, whose virtuosic powers affected him greatly and caused him to retreat to Ancona and practice for years. Veracini was known to be, at the least, very eccentric. The subconscious mind is fed by every experience, and Veracini may have been one of the elements behind the dream. What of the not-yet-named-Lipinski Strad? The information that Tartini owned it comes from Karol Lipinski, who said that he was given the Stradivari by Tartini’s pupil, Signor Salvini, who had received it directly from Tartini (Violin Times, Dec. 15, 1895 and Jan. 15, 1896). Nothing in the known facts contradicts Lipinski’s story. Tartini lived his whole life in cities that were not far from Cremona, and was making a living as a musician from an early age. Dilworth notes that Stradivari’s design innovations gave more power and focus to each note. A Strad was an interesting choice for Tartini, who made important contributions to the development of the violinist’s technique, and established the distinctive form of bow that is named after him…a stage…in the evolution of the modern bow. Wouldn’t it be interesting if the violin inspired Stradivari, who was an experimental kind of person, to make some of those developments? Perhaps when he first played it he realized that it would complement his experimental nature. If at some point he wished to buy a cutting-edge violin, he would certainly have heard of Signor Stradivari. 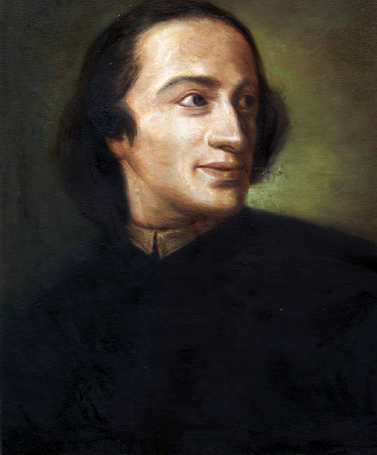 If we look for a specific connection between Tartini and Cremona, it can be found in his relationship with Gasparo Visconti, the Cremona composer and violinist. They may have met first in Venice, as Visconti, Tartini and Veracini were present when the King of Poland visited the music school he had founded there. According to Monterosso, Visconti made a profound impression on Tartini (McVeigh and Hirschberg). Visconti had returned to Cremona in 1713, and he died in Cremona most probably in 1731. It is believed that Tartini visited Visconti in Cremona in 1716. He and Visconti worked closely together in at least one instance, when they published a joint volume of six concertos in 1728. The concertos are not individually identified by composer, which suggests a close collaboration or friendship. 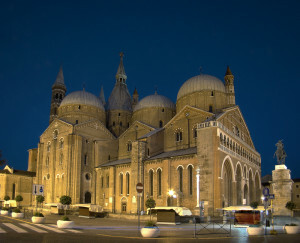 Thus was Cremona easily visible on Tartini’s north-Italian horizon. William S. Newman, The Sonata in the Baroque Era, 3rd ed., Chapel Hill, 1966. John Dilworth, album notes for A Violin’s Life, Music for the ‘Lipinski’ Stradivari, 2013.